Bath Bach Choir will perform its 2019 summer concert in front of the famous Scissor Arches at Wells Cathedral. The programme, which brings together Mozart’s Exsultate Jubilate, excerpts from Haydn’s Nelson Mass and the great Mozart Requiem, fulfills a long-held wish of the choir’s musical director, Nigel Perrin, to invite coloratura soprano Carolyn Sampson to perform with the choir. 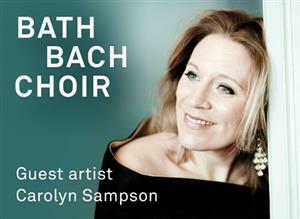 Miss Sampson’s 2019 schedule includes Bach in Tokyo, Handel in Philadelphia and, now, Mozart in Wells.